Admiring Facebook: Mark Zuckerberg goes before Congress - Integration Through Media ....! This is a dance of confused ends and mistrustful glances, mixed with occasional moments of misplaced adoration. 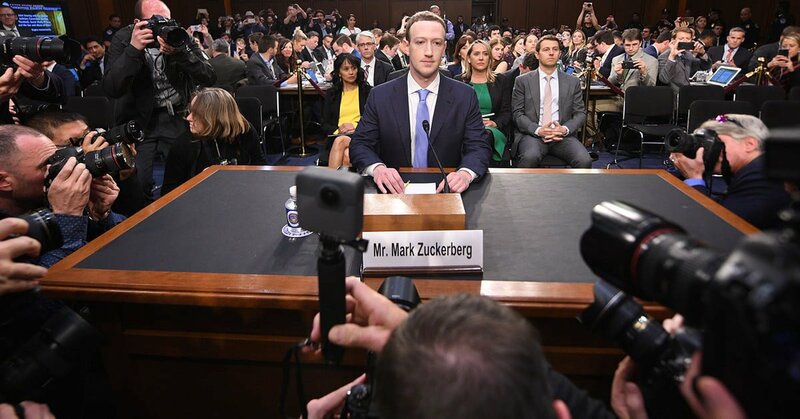 Mark Zuckerberg of Facebook fame has never been an empathetic sort and his testifying before the US Congress has done nothing to dispel that assessment. That stands to reason: the least sociable of types, the most awkward of individuals in engaging with beings, creates the most networked social creation on the planet. In doing so, he becomes the president and promoter of surveillance capitalism, its chief priest and sovereign. There has been a treasured obliviousness, a deep ignorance and refusal to consider the implications of surrendered privacy in the market of surveillance capitalism. Over the corpse of privacy, the technological charge initiated by Facebook has been feted and embraced by alibis and accessories comprised of one huge body of users. Much of this latest data trauma and insistence has occurred because people have suddenly fallen out of love with the FB. Warnings by the noisy technocrati (Kim Dotcom, Julian Assange) that this surveillance machine ought to be boycotted have gained some traction. That this has links with Russia, the victory of President Donald Trump in 2016, and the selling and passing on of consumer data that might, however improbably, have influenced that result, is all important. It is impossible to have imagined this level of interest had the White House found itself ensnared by the Clinton junta. This week’s Congressional hearings, ostensibly to tease through the Cambridge Analytica scandal involving the collection of personal, identifiable data of up to 87 million registered Facebook users, have yielded a certain bounty of confusion and indignation. Rather than suggesting attention to detail, genuine concern, and tangible responses, the proceedings have demonstrated a counterfeit interest. Keeping apace of this judicious lack of awareness about the technology company is a certain creepy adulation that has afflicted the Zuckerberg-Congress show. Other senators seemed indifferent to the reasons they were there, avoiding their brief altogether. Senator Ted Cruz (R-TX) tried to squeeze a confession about of the Facebook CEO that his company was somehow biased against conservatives. He also wondered whether the firing of Palmer Luckey, founder of Oculus, was occasioned by a clash of political views. On neither point would Zuckerberg budge. Senator Orrin Hatch (R-UT) revealed his cursory knowledge of Facebook’s hoovering qualities in one striking question: “So, how do you sustain a business model in which users don’t pay for your service?” Such situated ignorance gave Zuckerberg some breathing space, wriggle room for smug relief. “Senator, we run ads.” The response from Hatch was hardly one of disapproval. “I see. That’s great.” Capitalism, digital or otherwise, is good. Senator Roy Blunt (R-MO) was crawling with admiration, the sort induced by starlets of their drooling admirers. “My son Charlie, who’s 13, is dedicated to Instagram, so he’d want to be sure I mention him while I was here with you.” Move over privacy, the love-in between Facebook and Congress is a pact of indestructible steel. At stages, members of Congress quite forgot what the fuss was all about. Before them was a demigod, a superlative American statement of innovation, supporter of STEM, warrior against disease. This was a chance for them to bask in some reflected glory, not to mention pitching in for projects that might lure Facebook to various electorates. The coup de grâce, the confession that seemed to implicate founder, company and interrogator, was the admission by Zuckerberg that his own data has been the subject of appropriation and use. Everyone had found the “malicious third party”, those shady geniuses creating apps sporting personality quizzes. (Aleksandr Kogan and Cambridge University researchers, no less!) The irony of this went begging out the door, as did much credibility over the process of hauling Facebook’s founder before a body that long ago descended into murmurs, formalities and school child admiration.